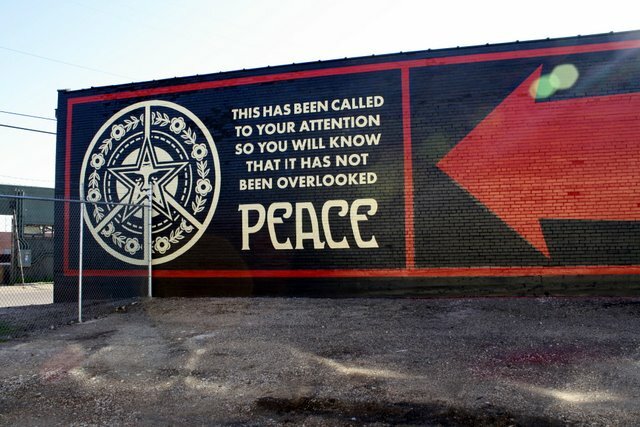 Shepard Fairey, the urban artist who gained prominence with Obama’s 2008 Hope campaign poster, and a team of artists recently hit the streets of Dallas leaving his indelible mark – a series of murals. This Saturday, the Contemporary Art Dealers of Dallas (CADD) organized a tour to view five finished Fairey murals. It was another fun CADD trip with a busload of art lovers. 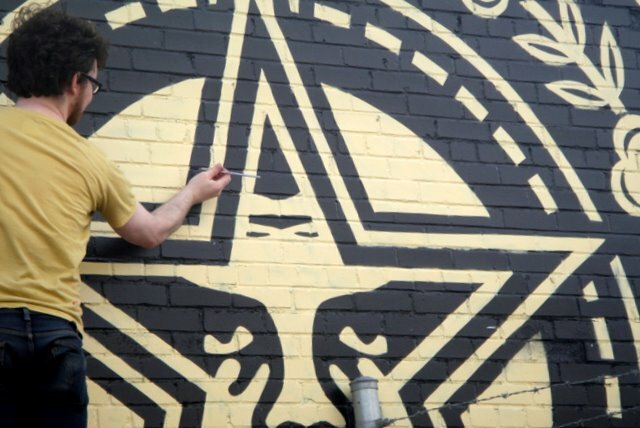 A question that frequently crosses my mind is “How is this done?” Luckily, Brian Gibb, owner of Deep Ellum gallery The Public Trust, is a long time friend of Shepard Fairey, his fellow street artist. 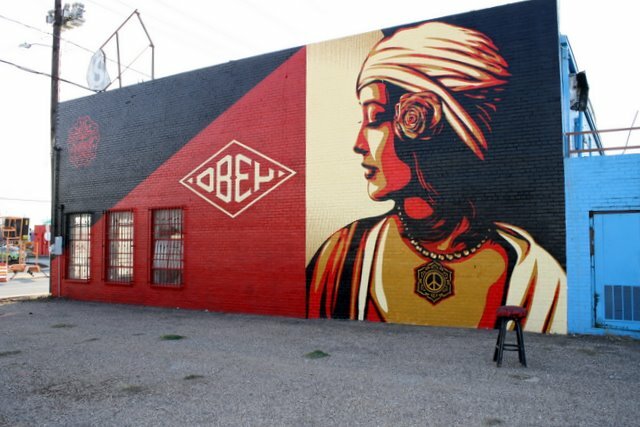 Brian talked with me about the general process and tipped me off to the locations where the murals were happening. 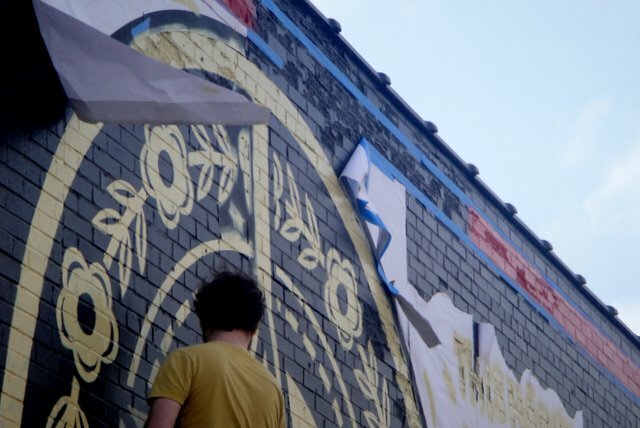 I photographed the steps Fairey and his team took over several days to make these urban paintings. 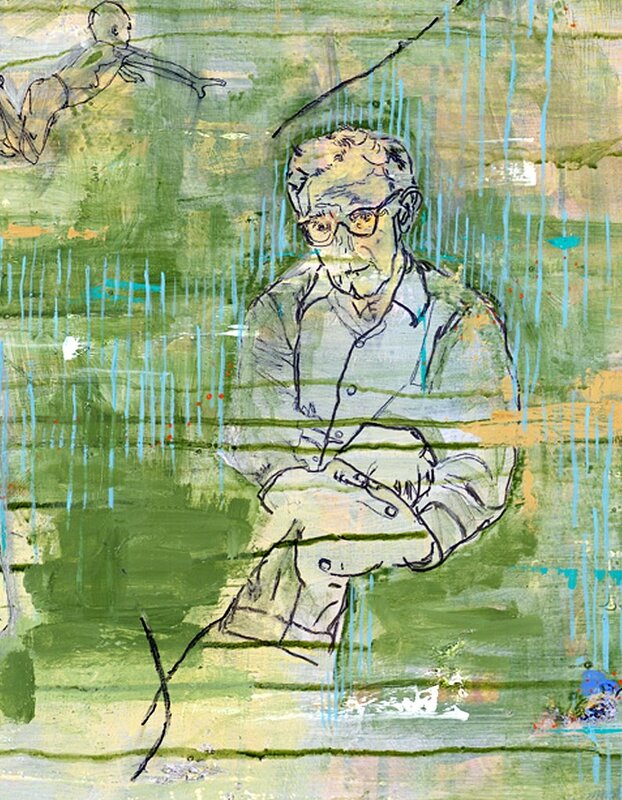 The image below is the finished painting at the Dallas Contemporary, followed by the step-by-step activities to make it happen. 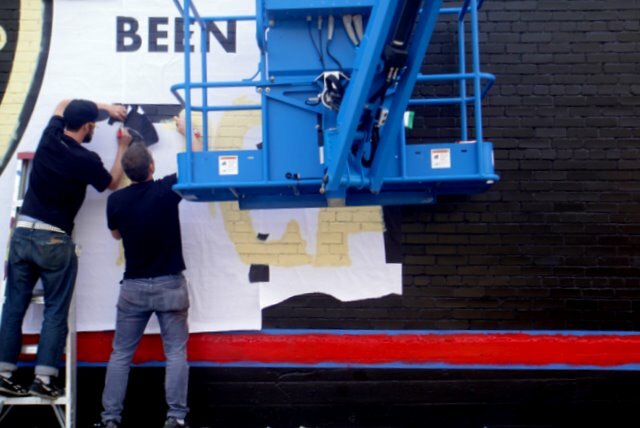 Step 1: Large rolls of paper with preprinted Xeroxed images of the final design were taped, with regular blue painter’s tape, to the wall after a base coat – in this case, black – completely dried. 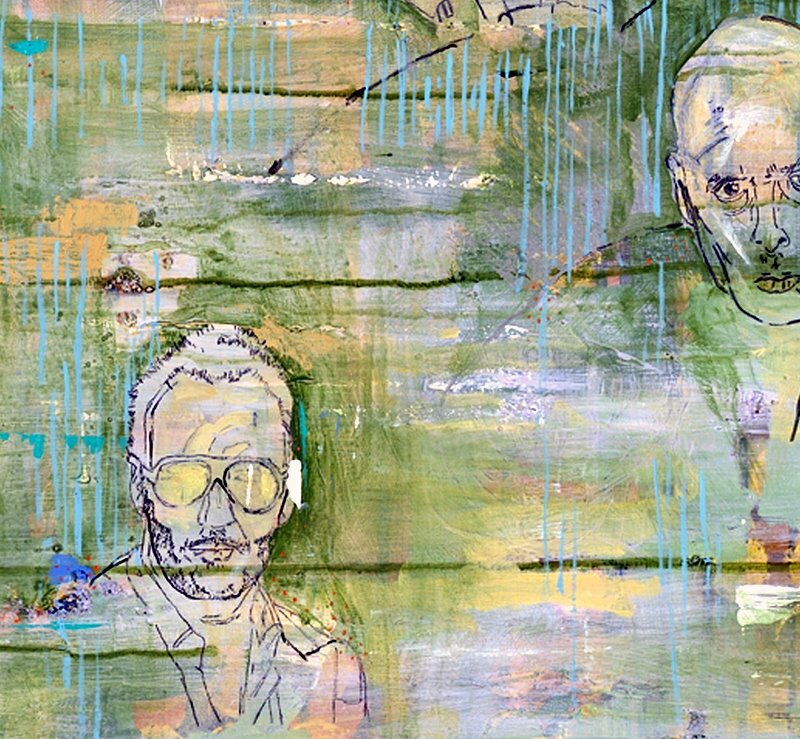 Step 2: In the photo below, two artists razor cut the outlines to create a stencil. Step 3: The stencil was then spray-painted with color. Here, the design instructions called for yellow. Step 4: After the letters were painted and the paper removed, an artist hand paints any edges where crispness is needed. I noticed the brush was small which means this was a methodical, intense step. That’s a wrap the Dallas Contemporary site. 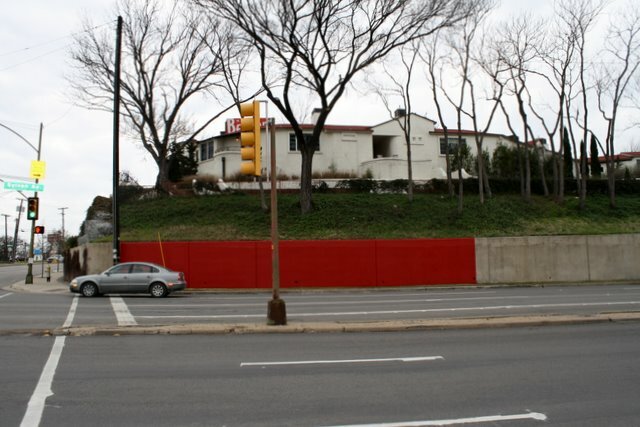 The retaining wall below is located at the historic Belmont Hotel. Step 1: Fairey began with a red underpainting. Step 2: The stencil pattern was a bold design requiring only two colors – black and white – to complete this modern concrete billboard. 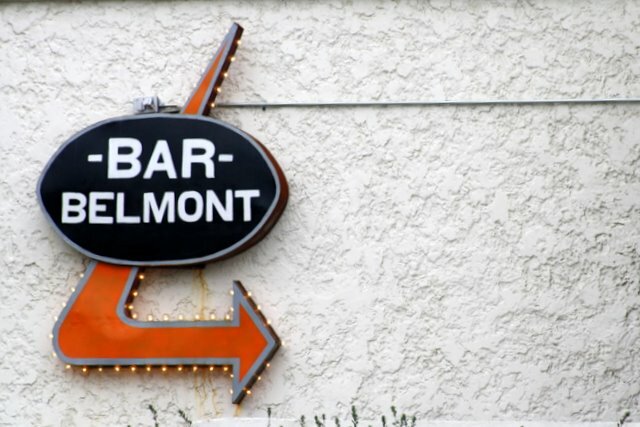 Just up the hill, stop at the Belmont Bar terrace for a drink, bite and one of the best views of downtown Dallas. Here’s a pleasant and different way to spend a Saturday morning entertaining yourself or your out-of-town visitors and learn more about the Dallas. 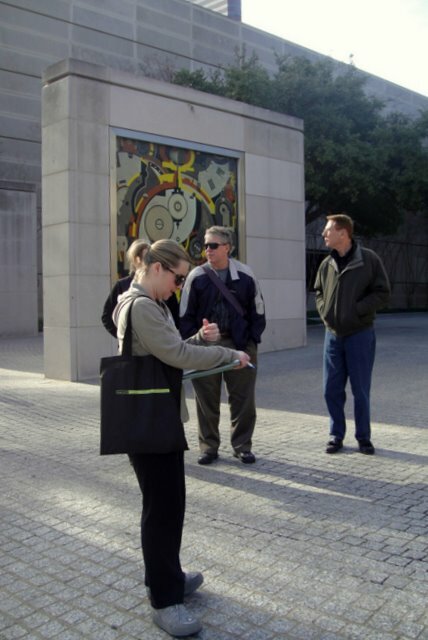 The Dallas Center for Architecture (DCFA) offers 90-minute walking tours of the Dallas Arts District (DAD) on the 1st and 3rd Saturday of each month. 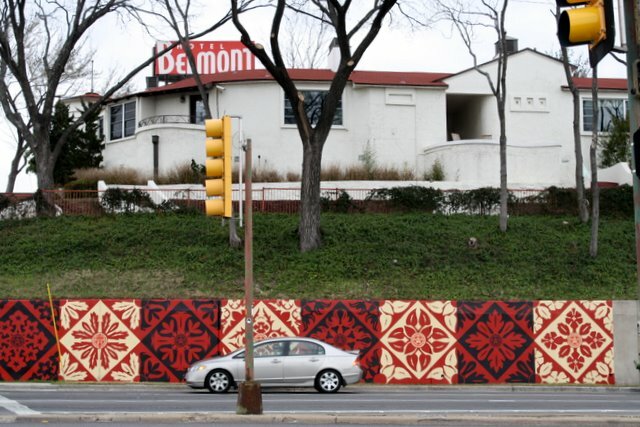 In 2010, I was in the first class, trained and certified by the energetic DCFA Program Director, Greg Brown, to lead the DAD walking tours where the story of Dallas’ history is told through the buildings and planned urban space. Yesterday, a fellow classmate and docent, Robin Bellerby (she’s the one taking attendance in the shot below) and I each took a group of 10 people. The tour starts at the Harwood entrance of the Dallas Museum of Art, finishes at One Arts Plaza on Flora Street and covers the significant buildings in-between. Here’s something I learned in training: The DAD is the largest arts district in the country, covering 68 contiguous acres. 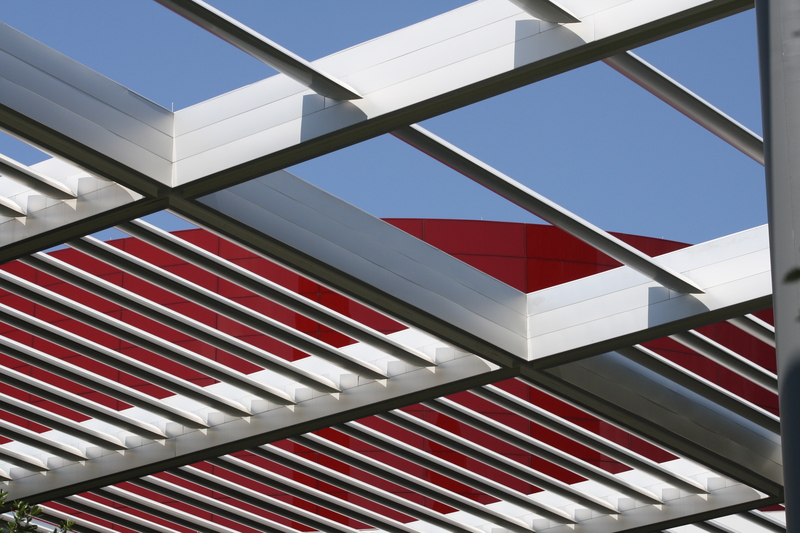 Another fun fact: Four Pritzker-prize winning architects designed a building in the district: Renzo Piano’s brilliant mind did the Nasher Sculpture Center, I.M. Pei did the Morton H. Meyerson Symphony Hall, Norman Foster’s firm did the Winspear Opera House and Rem Koolhaas did the Wyly Theater. The Pritzker is comparable to winning the Nobel Peace Prize – it’s a big deal. 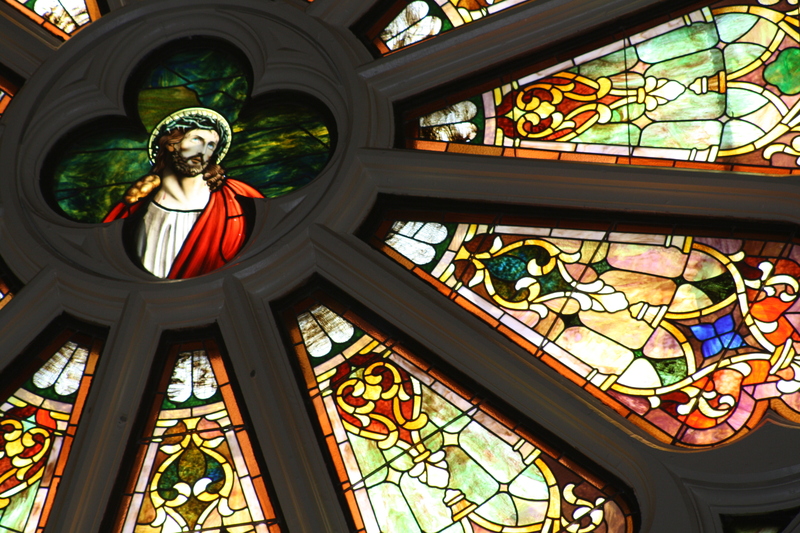 The DCFA also offers tours of the historic Main Street District on the 2nd and 4th Saturday. Private tours can be arranged through the DCFA’s link below.